A partial set of dentures used by former British leader Winston Churchill — described as the teeth that saved the world — sold at auction Thursday for $24,550. 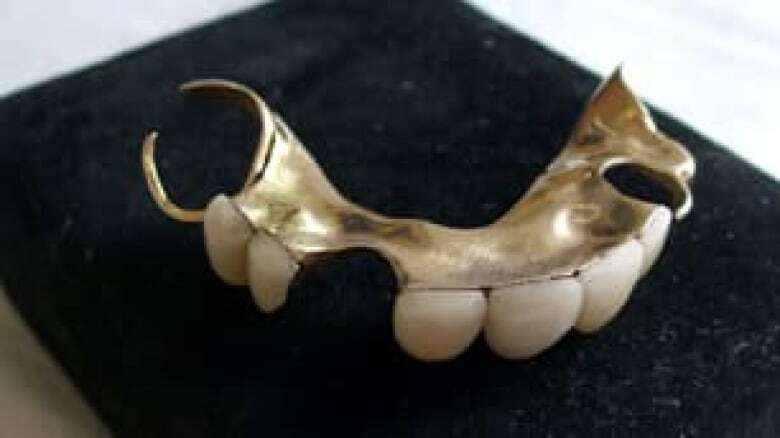 The upper dentures, one of several sets made especially for the wartime prime minister, were used to maintain his distinctively slurred speaking style. They were bought at an auction in England by a British collector of Churchill memorabilia who paid three times the estimated price. The dentures were unique because they were designed for a loose fit that would allow Churchill to preserve the diction famous from his Second World War-era radio broadcasts, experts said. 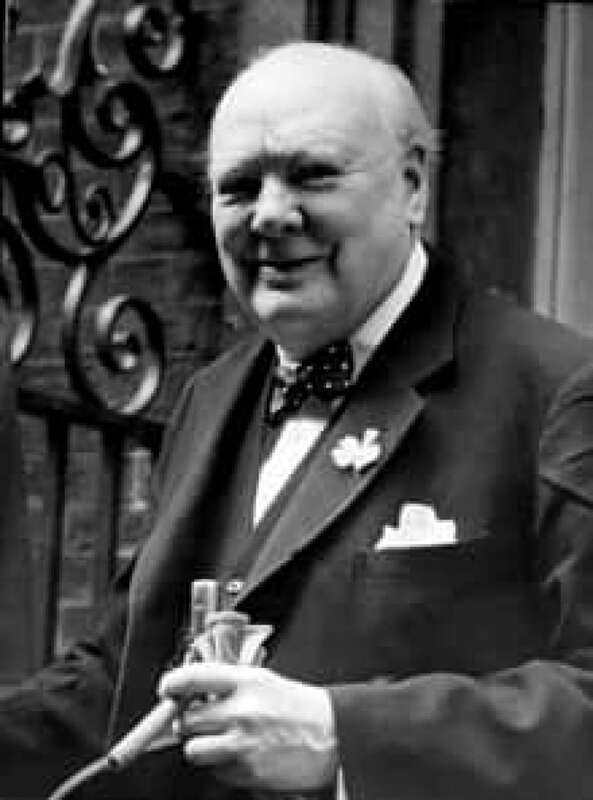 "From childhood, Churchill had a very distinctive natural lisp; he had trouble with [the letter] 's,'" said Jane Hughes, who is head of learning at London's Hunterian Museum. "These are the teeth that saved the world." The medical museum displays a duplicate set of Churchill's dentures, alongside other famous teeth — including dentures worn by Queen Caroline, the estranged wife of King George IV. "He wanted to maintain [the lisp] because he was already so well known for it," she said. "The dentures wouldn't quite connect with the top of the mouth, but that was on purpose." The dentures were made by dental technician Derek Cudlipp, who produced three or four identical sets for Churchill. One set is believed have been buried with the leader. The set at auction was sold by Cudlipp's son. The false teeth were made just around the start of the war, when Churchill would have been about 65, Hughes said. The politician is famous for his rousing speeches to the British nation during the war, but his dental issues have been less well known. Hughes said Churchill had many problems with his teeth as a child and probably lost some of them quite early. The leader valued so highly the skill of his dentist, Wilfred Fish, that he nominated him for a knighthood. Churchill served as prime minister from 1940 to 1945 and then from 1951 to 1955.